Need mainframe support in any form? Our team comprises of young professionals well versed in and familiar with the latest developments in their fields (front and back end web development, web design, web and mobile applications programming). We offer existing solutions, or those designed specifically for each client. Regardless of how big your company is or how complex your ideas are our team will know how to handle it. Dynamic pages are interactive pages that allow better communication between visitors and businesses. These are mostly information portals and online shops. The great advantage of such sites is that the site owners can maintain their site without any knowledge about the internet shop via the CMS (content management system). Dynamic pages consist of modules (surveys, comments, articles, banner rotators…) that we make ourselves according to the wishes of clients using the latest internet technologies so that the maintenance and publication of the content in these modules is similar, perhaps even more innovative than the work in Office package for instance. Static pages are pages that have the structure, design and content agreed upon at the initial meeting. We do the changes on the site or, if you have an advanced knowledge of HTML and CSS technologies, you can do the changes yourself. 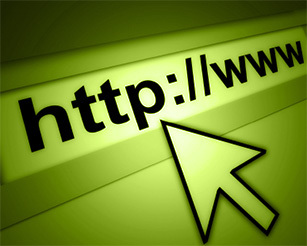 Such sites are ideal for smaller business needing only to show the range of its activities and background information. The price of static pages is, of course, lower than the one of the dynamic pages. Today, all entrepreneurs and managers want to have central access to all information surrounding their work at any time and any place. For example, the state of all storage places, access to all input / output invoices and other paperwork, working hours of employees, etc. We are developing systems that are providing insight into all this information directly on your mobile devices and laptops in any location where there is internet connection. In your company we enter all the information into our applications that enable an excellent overview as well as the update of your information which are stored in a secure database. Furthermore, all information is accessible to all authorized persons on the ground. 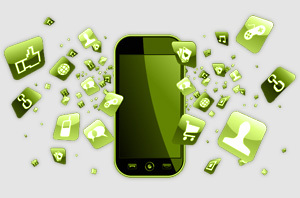 We make the Internet and mobile applications according to your wishes and needs. We can also create new modules to implement into your existing site. SEO optimization means adjusting the code and structure of your pages in order to be better positioned on search engines. Over 100 parameters on your site dictates your position on search engines. Of course, there is also the most important parameter – the content. For sites with poor or low quality content attendance falls dramatically, so before the SEO optimization the page content itself must be edited. Our expertise in this area, the number of readings on the subject and the modifications we’ve done on over 50 internet pages guarantee you great optimization results. Your site must be located on a web server in order to be available to the public and must have its own “address” through which it is reached, called domain. For quality service it is essential that the server be fast and reliable, that it has a 99.99% uptime so that your visitors could ever freely and quickly access your pages. We offer just such a service, and even better, of course :). See our hosting packages for details. Contact us with confidence and we will place your internet site on the well-known and most visited Croatian portals, thereby dramatically increasing number of visitors to your site. We can also rank your web site on the world’s most popular search engines and enhance your site’s ranking at the same time. If you believe you have a quality site, there might be a possibility that you also earn something. We will advise you in that matter and sign you into online profit services. Have we wakened your interest?